Folks – I’m at A Life Overseas today talking about an excruciatingly painful time. It is a vulnerable piece and I ask for grace. Yesterday was my 30th wedding anniversary. We have what we affectionately term a “brave marriage.” By God’s grace it has weathered crises that most marriages never dream they will have to withstand. And some of those crises occurred in our life overseas. Because of this our anniversary is the more precious. Today I take you into one of those crises – and I ask for grace as you read it. As I reflect back it feels like a lifetime ago – and in some ways, it was. I sat outside in the Marriott courtyard, sipping a hot coffee. It was a warm winter day in Cairo, and the strong desert sun cast light and shadows across abundant plants. This was one of my favorite spots to sit, read, and reflect in a city of 18 million people and limited green space, but my mind was far from enjoying this time. Despite the warmth I was shaking with cold. In this city of millions there seemed nowhere to turn. No place to go. No one to talk to…..Read the rest at A Life Overseas – When your marriage is wounded. 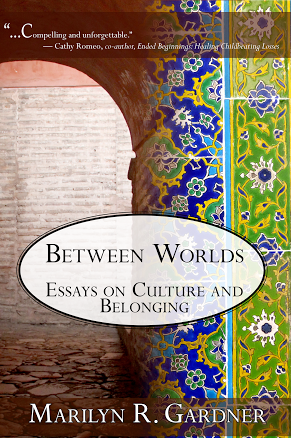 Friends – take a look at what Rachel Pieh Jones says about Between Worlds: Essays on Culture and Belonging! Click here to read her post. Available at Barnes & Noble where you will receive it quicker or at Amazon. That’s a powerful piece, Marilyn-thanks for sharing! I was really hit by the idea of “idol of ministry overseas”. I guess this concerns a lot of TCK life areas and it makes me sad to think where we often might have missed out on blessings because we treasured our TCK lifestyle more. Definitely something to think about! It’s a hard thing to admit though, isn’t it? And I am way too slow a learner. But there have been times where i realized I would do just about anything to live overseas again. And at heart that is scary, because it puts me in a space where I am willing to compromise. Thanks so much for reading this piece and understanding it so well. It is very scary indeed! And I am excited yet really, really dreading the time when I am done with my education because then I have to decide if I’ll live overseas again or not. Do I dare ask God what he thinks about it? What if I don’t like his answer? 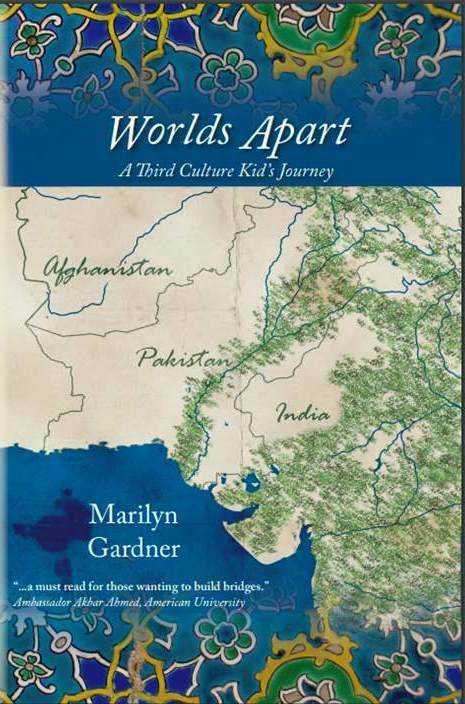 I have been reading a little about third culture kids. I had never heard this term before I started reading blogs. I know the definition may not quite fit but I feel like my childhood as a military dependent made me something of a third culture kid. Your husband and I met when our fathers’ were serving overseas deployments to Germany. These oversea deployments contributed to our childhood experience but I am really referring more to the culture of the military. I believe that military life without regard to overseas deployments may constitute a distinctly separate culture from the rest of American society. At the very least military dependents share some of the problems and blessings experienced by third culture kids. It would be interest in your thoughts on how your third culture experience was similar and different from your husband’s experience as a military dependent. I wonder if you would consider writing a guest post for me? I had talked about having you write a month or so ago to my husband and then didn’t do anything about it. This comment makes me really want you to do an essay on this. Wow, I am honored you would ask. Let me think this through a little more and see if I can capture my thoughts in a way that is worth sharing. Far more than passion’s passing flame has fused our single hearts. The vow we make in heaven’s name one common future charts. Lord, let our vows endure and gain their meaning through the years. May we by grace draw from our vow the strength to love again. The witness of a promise kept through all our married days. Marilyn, this seems to fit your blog today. I found it a long time ago and it is a reminder of the holy vows we made, for some of us years ago and others, new and fresh. God bless you. Bettie, this is beautiful. Thanks for sharing it. See you soon, we are so looking forward to the time.